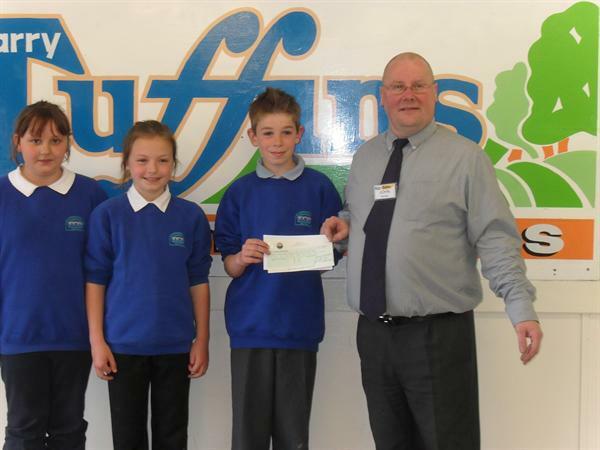 Our local supermarket, Harry Tuffins has generously donated £400 for us to spend on ICT equipment. Mrs Price applied to their board of directors to ask for a share of their 'Making a Difference Locally' grant and was successful. Louise, Emily and Tom collected the cheque from Mr John Fumigali, the manager at the Craven Arms store.